Citation for this treatment: Dieter H. Wilken & Steven L. Timbrook 2012, Langloisia setosissima subsp. 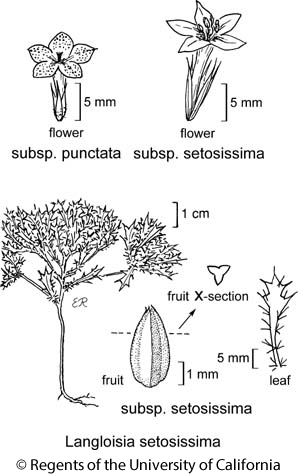 setosissima, in Jepson Flora Project (eds.) Jepson eFlora, http://ucjeps.berkeley.edu/eflora/eflora_display.php?tid=51135, accessed on April 24, 2019.